Dr. Christopher Choongseo Chung is a highly qualified dentist with several areas of expertise in implant and periodontal surgery. He is dedicated to providing the best quality dental care in the Chicagoland area. Dr. Chung received his bachelor’s degree at the reputable Yonsei University in Seoul, South Korea. He then continued his post-graduate PhD education at the University of Iowa where he was active in conducting research in Bioinformatics and Computer Science. It was this science-forward and genetics-related research that promoted Dr. Chung’s interest in dental surgery and the people-friendly field of dentistry. He entered the University of Iowa, College of Dentistry and was awarded scholarships for his active research position discovering genes involved in non-syndromic cleft lip and palates. After graduating at the top of his class in 2010 with his Doctor of Dental Surgery degree, he continued to pursue more training and has received several certificates of education in advanced implant surgery techniques as well as advanced soft tissue surgery techniques. Dr. Chung is a member of the American Dental Association, Illinois State Dental Society, Chicago Dental Society, International Congress of Oral Implantologists, and the American Academy of Implant Dentistry. Dr. Chung enjoys spending time with his family and children. He also enjoys being active in various sports in his free time. Dr. Mia Myoungah Seo is an extensively trained dentist, especially in the field of endodontics/root canals. She is highly motivated to improving her patient’s oral health and providing them with excellent care. Dr. Seo (pronounced “Suh”) first received her dental degree at the prestigious Yonsei University College of Dentistry in Seoul, South Korea. She then received additional training in her 3-year endodontic residency program where she became a specialist in performing advanced cases of root canals. Dr. Seo then worked as a microscope trained endodontist for five years before moving to San Francisco, California as a root canal doctor. In 2012 she went back to school at the University of Illinois at Chicago College of Dentistry to validate her dental degree. Dr. Seo graduated with her Doctor of Dental Surgery degree and received several awards due to her excellence in providing the greatest quality of care for her patients. One of these awards included the American Association of Endodontists, Excellence of Endodontics Award, designated to only one student in each class. Dr. Seo has been a member of the American Association of Endodontists since 2002 and is also a member of the American Dental Association, Illinois State Dental Society, Chicago Dental Society, and the Academy of General Dentistry. 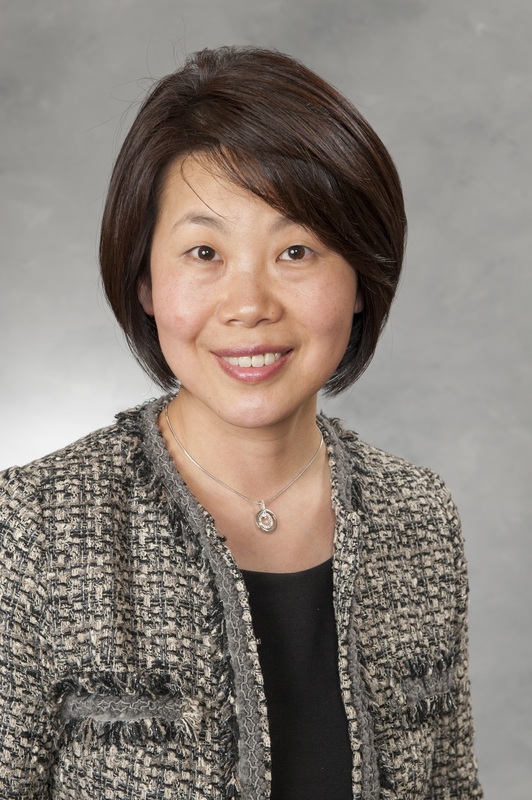 Dr. Seo enjoys spending time with her family, taking her two kids to visit Lake Michigan, and reading them lots of bedtime stories. Dr. Phimon Atsawasuwan is an experienced and highly accomplished orthodontist. As he practices orthodontics, he also works as an Assistant Professor at the University of Illinois at Chicago. He is a board certified orthodontist. He was awarded Thomas M Graber Award of Special Merit, which is one of the most prestigious award from the American Association of Orthodontists and numerous Biomedical Research Awards and fellowship from the American Association of Orthodontist Foundation. He received his DDS and MSc in Periodontics from Mahidol University, Thailand. He then received his MSc in Periodontology from Eastman Dental Institute, University College London, United Kingdom. Dr. Atsawasuwan went to the University of North Carolina at Chapel Hill and completed his PhD in Oral Biology and his postdoctoral fellowship. Afterward Dr. Atsawasuwan completed his MS and his certificate in Orthodontics at the University of Illinois at Chicago where he joins the department of Orthodontics as a full-time faculty and became a diplomate, American Board of Orthodontics. Dr. Atsawasuwan enjoys teaching and research, which always keeps him up-to-date with cutting edge technology in the field of Orthodontics. He is also a notable author and publishes an extensive list of case reports and research articles in several peer-reviewed journals including American Journal of Orthodontics and Dentofacial Orthopedics. He also serves as a reviewer for several scientific and orthodontic journals. He has been invited to give lectures and presentations in many conferences both in the United States and International conferences. Dr. Atsawasuwan‘s goal for his orthodontic treatment is to improve his patients’ dental and jaw relationship as well as their beautiful smile with full of confidence. The most rewarding part is to see his patient’s beautiful smiles and his patients to share their happy smiles with friends and family. Dr. Michael Han received his DDS degree at the prestigious Yonsei University College of Dentistry in Seoul, South Korea. He then received his DDS degree at the University of California at Los Angeles, and completed residency training in oral and maxillofacial surgery at the University of Washington, where he was exposed to a high volume of orthognathic surgery and developed a keen interest in the treatment of dentofacial deformities and related obstructive sleep apnea. 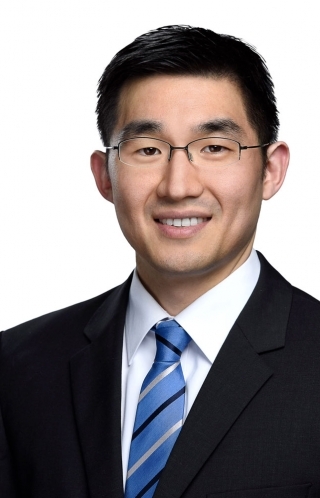 Following residency, Dr. Han completed an oral and maxillofacial surgery fellowship at Dalhousie University with a focus on orthognathic surgery, temporomandibular joint surgery and arthroscopy. There, he was trained in surgical planning and techniques developed by Drs. Jean Delaire and David Precious, both pioneers in the field orthognathic surgery. Dr. Han is a member of the American Dental Association, the Korean Dental Association, Omicron Kappa Upsilon National Dental Honor Society, Epsilon Zeta Chapter and the American Assocation of Oral and Maxillofacial Surgeons. Dr. Han’s research interests include early-surgery protocol for dentofacial deformity correction, short- and long-term outcomes of orthognathic surgery, and development of a sustainable model for multidisciplinary temporomandibular disorder management. Dr. Mary Kim grew up in the Chicagoland area and was an assistant at Smiles of Niles before dental school. Dr. Kim graduated from the University of Illinois at Urbana-Champaign with a Bachelors of Science in Molecular and Cellular Biology and Rosalind Franklin University of Medicine and Science with a Masters in Biomedical Sciences. Dr. Kim then went on to the University of Pittsburgh to receive her Doctorate of Dental Medicine. Wanting to learn about hospital dentistry, Dr. Kim completed her General Practice Residency at Northwestern Memorial Hospital in downtown Chicago. During this training, she treated very medically compromised patients as well as trauma patients in the emergency department. She has also volunteered in multiple dental mission trips in Guatemala, Pennsylvania, and Virginia. 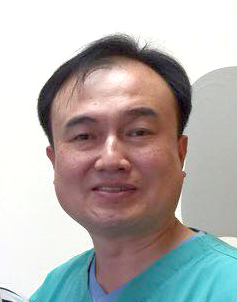 Dr. Kim is a member of the Illinois Dental Society, Chicago Dental Society, and American Dental Association. Dr. Kim enjoys traveling, baking, finding new places to eat, biking alongside Lake Michigan, and spending time with her friends and family. Smiles of Niles is committed to providing you with the highest quality and best service in dental care. Copyright © 2015 Smiles Of Niles. All rights reserved.